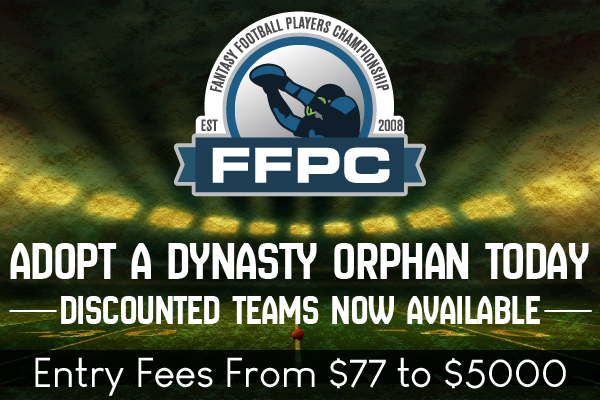 Fewer than 100 spots remain, and they will go lightning-quick in the next hour, players! 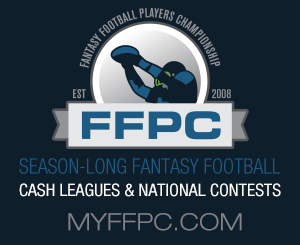 Please remember to enter the 2018-19 World Famous FFPC Playoff Challenge! Also, don’t forget that you’ll be able to apply your regular season winnings in your account right now to the Playoff Challenge as well. In 2018, we once again offered two separate Varsity leagues that featured $3,000 entries in total points formats. And after the dust settled in Week 16, it was Chad Schroeder and Larry Weinhauer’s squads that each took home the two $20,000 first place prizes. In Varsity #1, Schroeder’s Cocktails and Dreams tallied an incredible 2,720 points on the year, which was plenty to defeat Jeffrey Smith’s entry that scored 2,399. 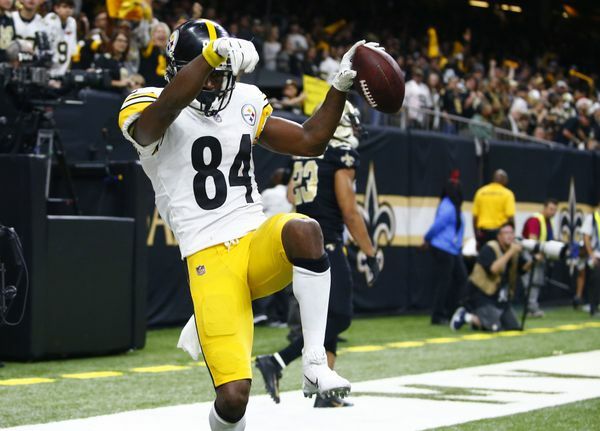 Leading the way for C & D in Week 16 were Antonio Brown (44.5), Ben Roethlisberger (33.4) and Mike Evans (21). Smith brought home $8,500 for second with Todd Oessenick’s PSU Tailgaters cashing $4,000 for their efforts. Over in Varsity #2, it was 2017 third-place finisher Larry Weinhauer’s Troy’s Boys stopping Brody Brown’s Das Coffee from three-peating by putting up a 150.65 in Week 16 behind Deshaun Watson’s 41.85 and Chris Carson’s 23.6. Weinhauer cashed $20,000 while Brown brought in $8,500 for finishing second in this league as well. The $4,000 third place award went to Dave Fowler’s Mystery Tramp, Wit, Cool & Credibility. Congrats to all six teams that cashed, and we look forward to seeing how these leagues play out again in 2019! As a reminder to everyone playing in any of our Playoff Challenge formats, make sure you get your rosters set for kickoff! 1 QB, 2 RBs, 2 WRs, 1 TE, 2 Flex (RB, WR or TE), 1 TE, 1 K, and 1 D.
No NFL team can have two players (including defense) from the same team. Tom Brady and the New England D would not be permitted. 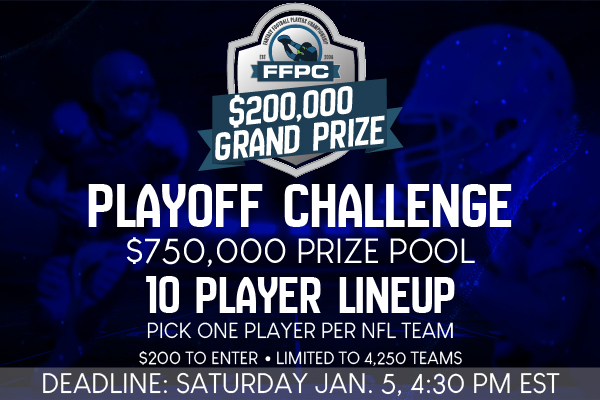 Good luck in the World Famous FFPC Playoff Challenge, players! And I hope everyone enjoys Wild Card Weekend!